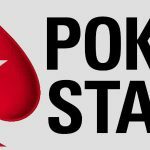 PokerStars has released its schedule of live events for the first eight months of next year under their new names of Championships and Festivals. The release of the dates for PokerStars Live 2017 confirmed what most players already knew. The major stops on the former European, Latin American and Asia Pacific Poker Tours are being rebranded as Championship events, while the smaller regional tours (UKIPT, ESPT, IPT, etc.) are now known as Festivals. 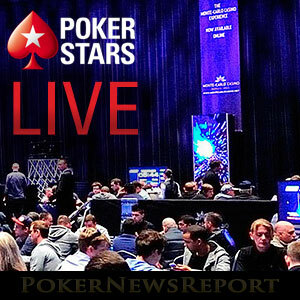 What became apparent in yesterday´s announcement is that there will be fewer major and regional events than before, although the “experience” of each Championship and Regional event should be better for both players and fans watching the events on pokerstars.tv. None of the dates for PokerStars Live 2017 were surprising. The former PokerStars Caribbean Adventure (now the PokerStars Championship Bahamas) will run from January 6 to 14 at the Atlantis Resort in Nassau. 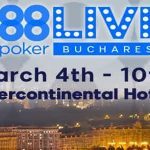 The $5,000 buy-in Main Event will be supported by a comprehensive schedule of side events that include a $25,750 buy-in High Rollers Event and a $100,000 buy-in Super High Rollers Event. 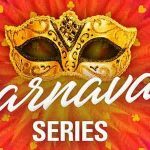 Panama: March 10 – March 20. Macau: March 30 – April 9. Monte Carlo: April 25 – May 5. Barcelona: August 15 – August 27. What is noticeable about these dates is the lack of any live action for PokerStars players in Europe until the tour reaches Monte Carlo at the end of April. In previous seasons of the European Tour there would be events held in Deauville, Copenhagen, Berlin and San Remo between the PokerStars Caribbean Adventure and the season finale at Monte Carlo. PokerStars has an incredibly rich live events heritage, having hosted more than 560 tournament series, attracted more than 800,000 entries and awarded more than $1.5 billion in prize money. The PokerStars Championship and PokerStars Festival events are an enhancement of the existing PokerStars sponsored live tours, helping to take our vision for live poker to a whole new level. So, What about the New “Experience”? Looking ahead to what is being planned for the PokerStars Championship Bahamas, the new experience should be something amazing. Some of the attractions set to compliment the live poker action will be familiar to players that have competed in previous PokerStars-sponsored events, but possibly not to the extent that PokerStars is providing during the eight days of the Bahamas Championship event. As well as the free Players Party on the penultimate night, PokerStars is hosting a massive free barbeque for AFC/NFC football games on January 6/7. There will be a 3 v 3 basketball competition, a football squares competition, a daily virtual reality competition, and the opportunity to have breakfast with the Pros. It has also been promised that the PSLive registration system will be updated with self-service terminals in time for the Bahamas event in order to streamline the registration process. Up until Sunday December 4, PokerStars is running a special promotion offering players the opportunity to Spin & Go to the Bahamas. The promotion consists of a special Spin & Go game with a $10.00 buy-in that once in every 3,333 spins will pay out a package to the PokerStars Championship Bahamas. In other games, the winner of each game will collect between $20.00 and $60.00. The package is well worth the $10.00 buy-in. It consists of nine nights´ accommodation for two at the Atlantis Resort, $1,000 of resort credit, $1,002 towards travel expenses and a seat in the $5,000 buy-in Main Event. 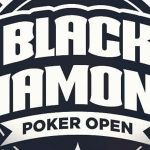 Further information about this opportunity to Spin and Go to the Bahamas, and more mainstream qualifying routes to the PokerStars Championship Bahamas can be found on the PokerStars website.